It’s just a little shindig in our humble new letterpress workshop space but the nation’s most famous printer tramp with be there! 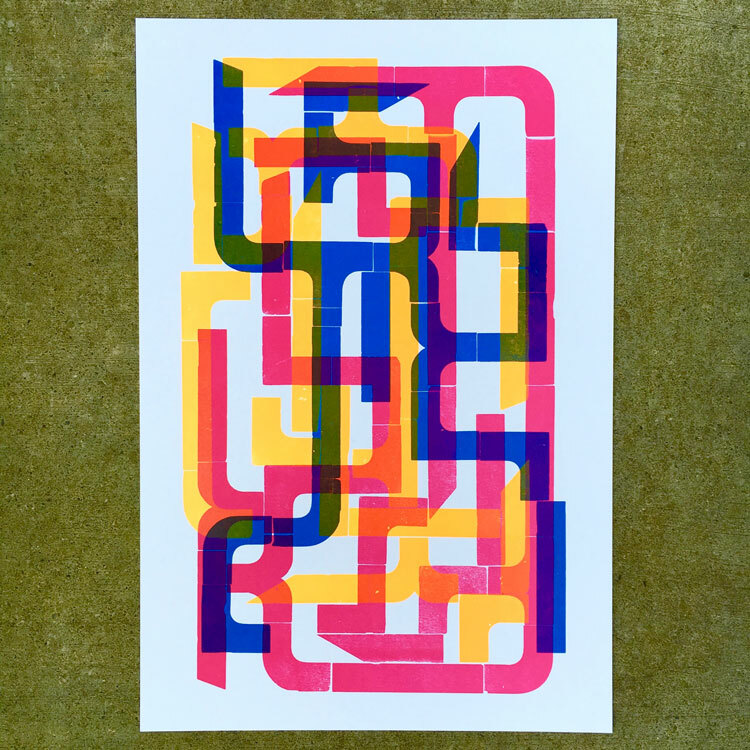 Chris Fritton, The Itinerate Printer will be in the house pulling prints during the party. Known as Friday’s dinner to Cranky. Your wall and Chris will thank you. Tom mustn’t be too much of a fool to be a General! See the old crank’s new dungeon. It’s not fancy but it’s pretty damn inky. 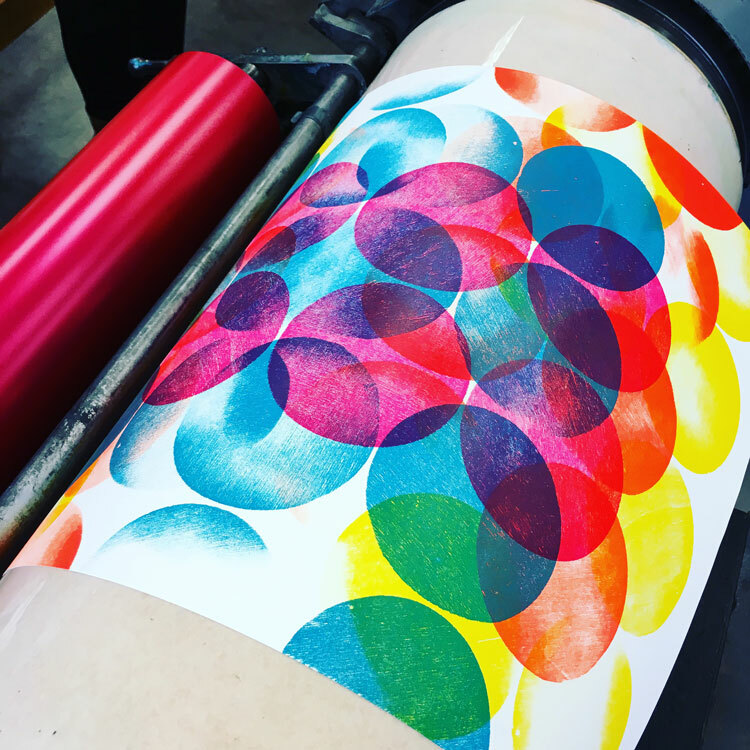 We know it is a busy weekend with all the ghastly nonsense going on but what’s more wicked than some good old letterpress printing! Share with your friends or your mother’s friends. 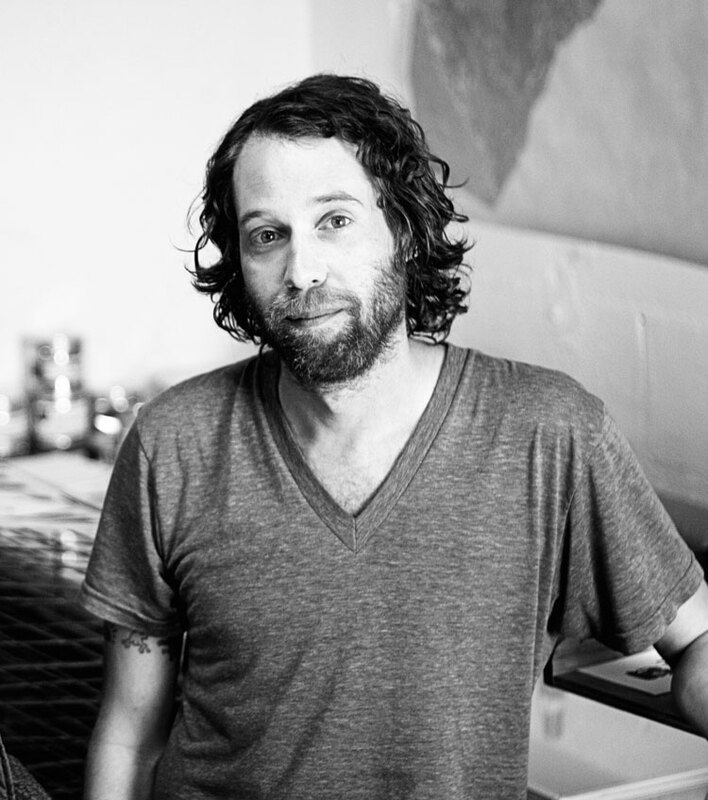 Chris Fritton is The Itinerant Printer and has spent the last couple of years furthering his career as a modern tramp printer. 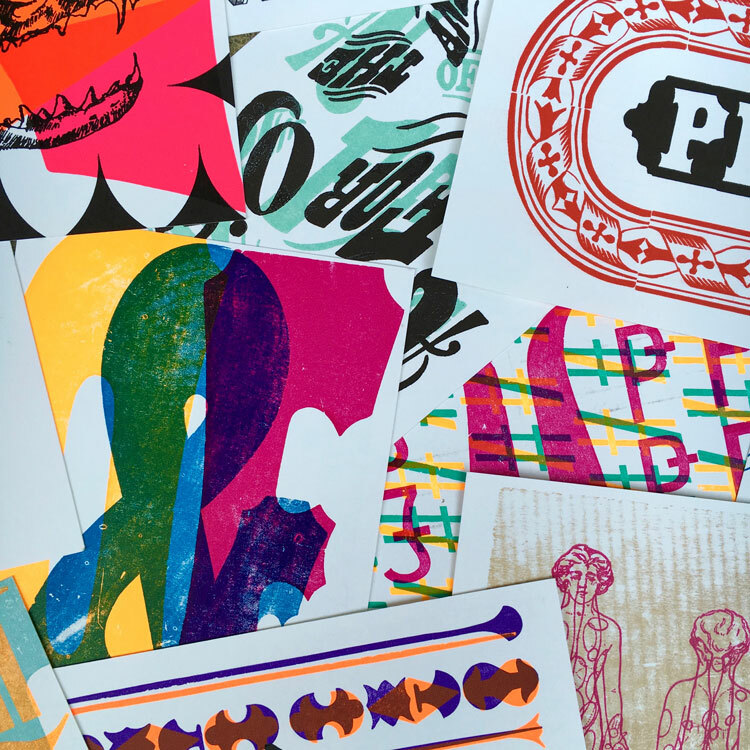 In 2015, the former Studio Director of the Western New York Book Arts Center in Buffalo, NY, joined the ranks of an ancient and legendary tribe of wandering artists who travel the country, going shop to shop, working as guest letterpress printers and typographers. So far Chris has travelled over 45,000 miles, through 45 states and 4 Canadian provinces to over 135 letterpress printing establishments. 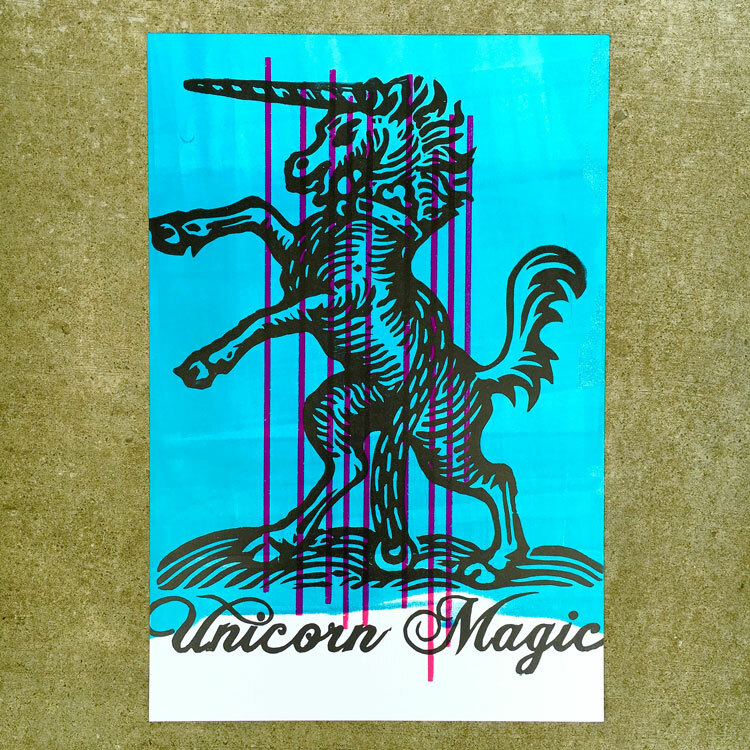 During the journey he has made over 15,000 prints. Chris will be arriving in our Salem, Ohio shop early Friday the day of the event. He will get straight to work. After a swift cup of Joe, he’ll have to dig and sort through the thousands of pieces of wood and metal type, printer’s ornaments, boarders and other pieces of graphics we have squirreled away around the place. This is a big job because we have tons of the stuff. I know because my back still hurts from moving it all to the new location earlier this year. The challenge is Chris does not know exactly what he will be working with since he’s never been to our place before. The excitement is no one knows what he will come up with until we see it coming together when we all meet at the event later in the day October 27th. 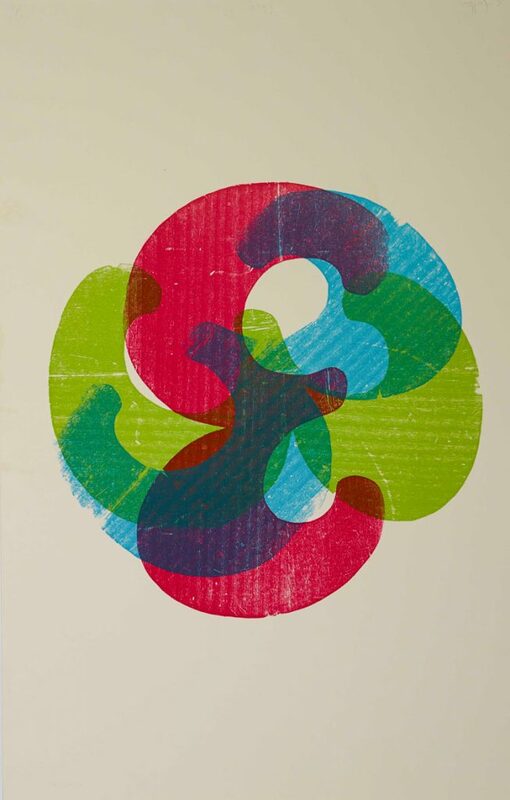 Knowing his past work I am sure his print will be fantastic. But just in case, I will keep a close eye on him and crack the whip if it looks like he is falling behind on the schedule! Above are examples of some the work Chris has created that will be on display and for sale at the open house. 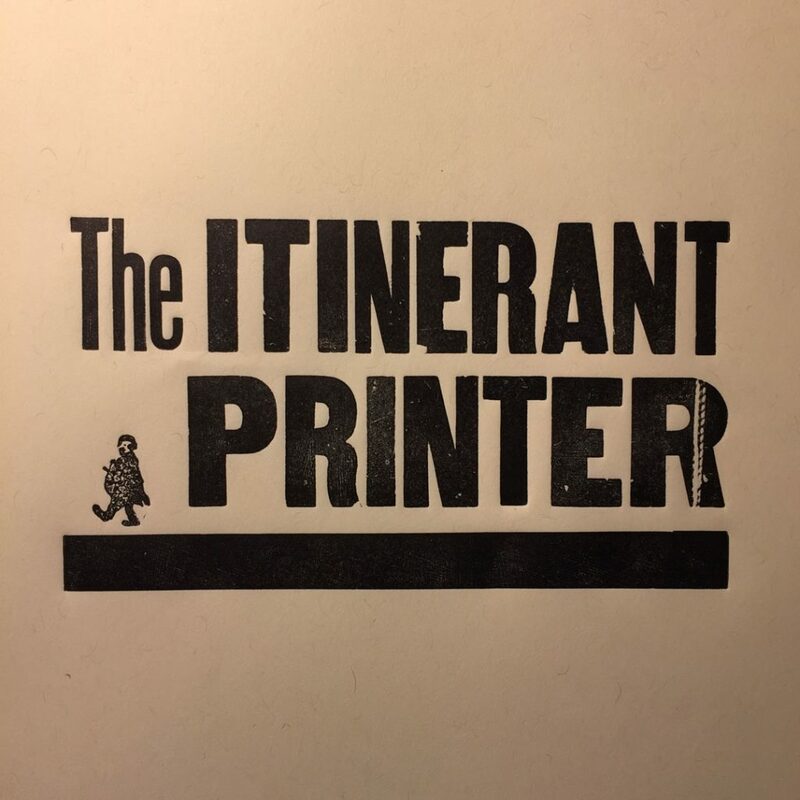 Learn more about The Itinerant Printer on his website. Or follow his adventures on Facebook. Date: Friday Oct. 27th 2017, from 4 to 8pm. Kids 12 and older are welcome if accompanied by an adult. Due to the nature of the event (drinking, printing and maybe even mild cussing by some of our friends) no children under the age of 12 will be allowed in. 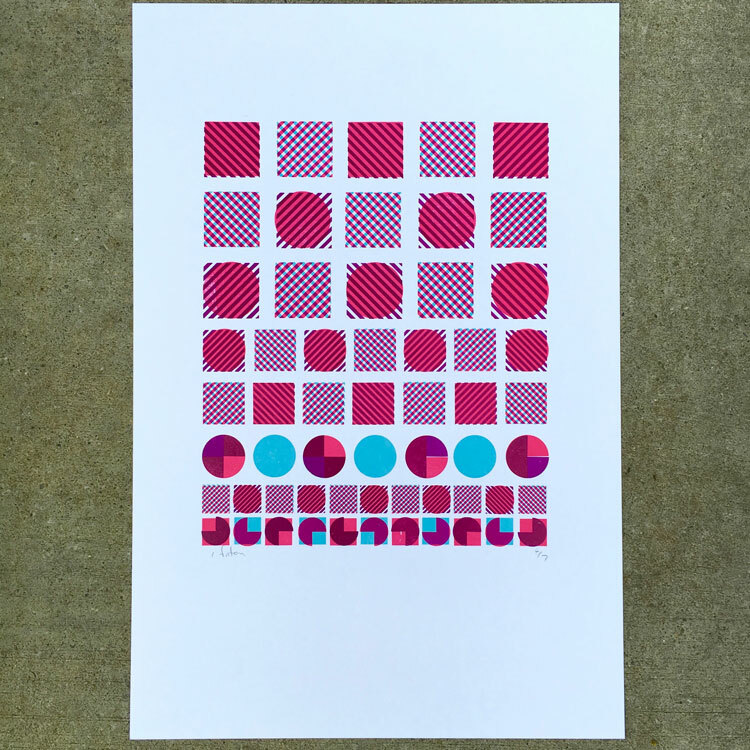 « Letterpress in glorious 2-colors.